Download my very first FREE printable! 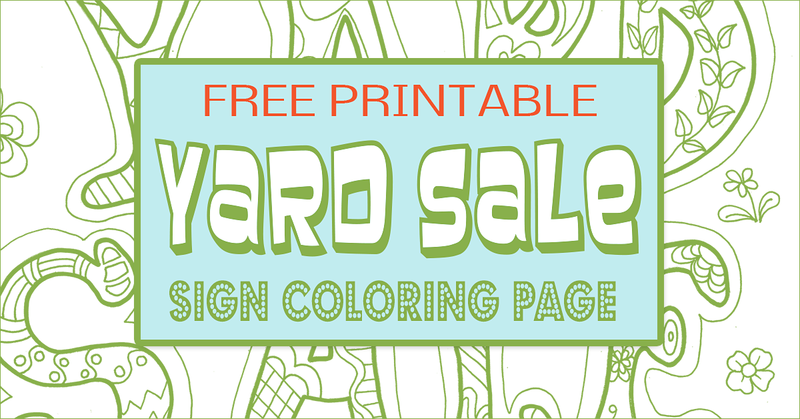 It's two free printables in one — a free coloring page AND a free printable Yard Sale sign! 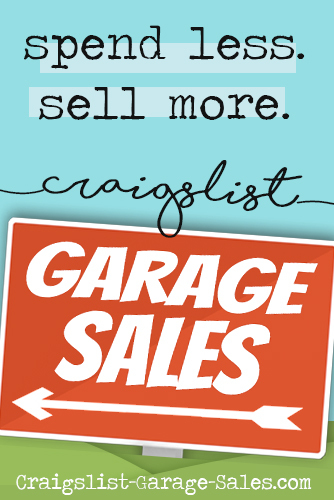 Related: Free printable Garage Sale Signs & Price Tags! plopped down on the floor and drew it by hand without any forethought or planning and no example to go by except the vision in her head. The moment I saw it, I had to have it. Now I want to give it to you! I have wanted to offer free printables since I first discovered they were a 'thing' (and consequently became addicted to searching for stuff I could download for free.) 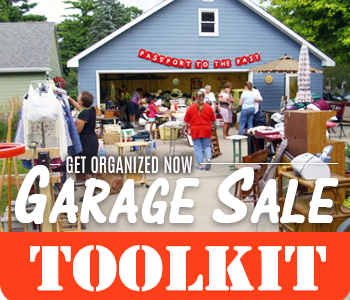 But I've never found a printable related to garage or yard sales that I felt was worthy. What do you think? ! 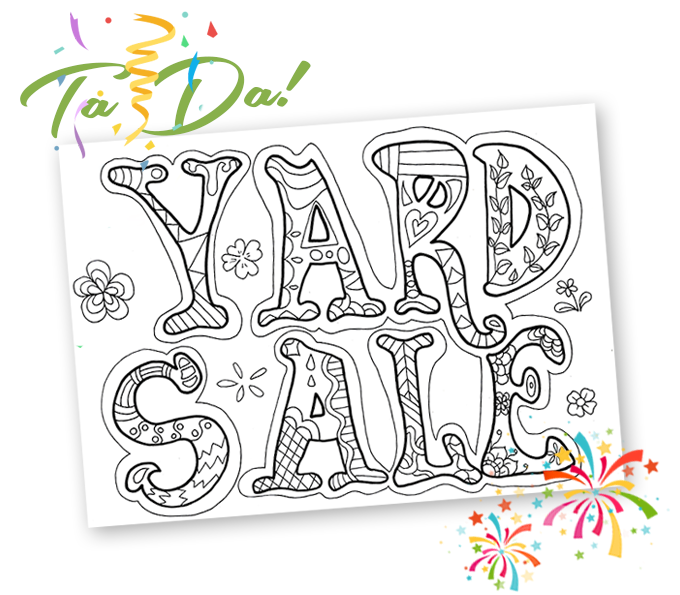 The actual file that you can download for free is a high quality, digitized copy of Stefania's original Zentangle-inspired Yard Sale drawing. 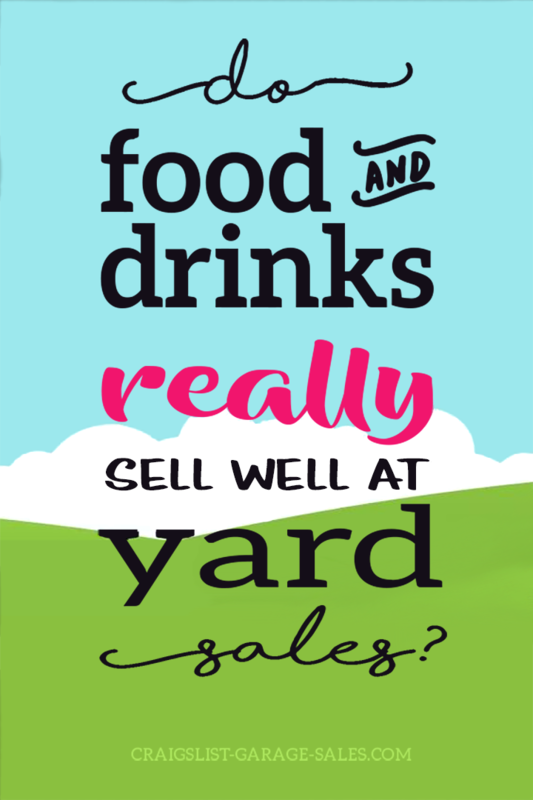 It's 600 dpi (4800 x 3600 px) which gives you the option to print 8 1/2 x 11" signs on your home-office printer or custom-order yard sale signs from a commercial printer ranging in size from 18" x 12" to 48" x 36". The black and white Zentangle patterns really pop off the page, don't they? That's ultimately what you want in a Yard Sale sign. 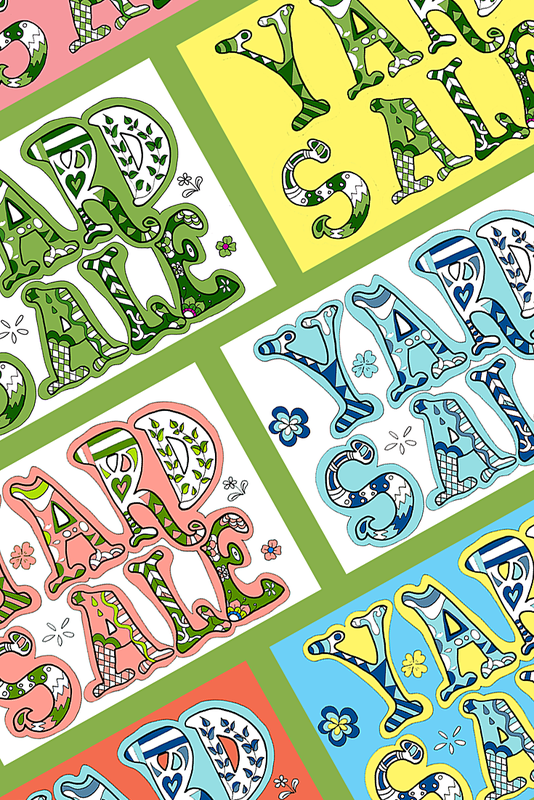 I also love that—despite being digitized—you can still see pen strokes and other small imperfections you would expect a hand-drawn yard sale sign to have. But what if you prefer color signs? No problem! It's easy to add color to this free printable — even if you don't have photo editing software. 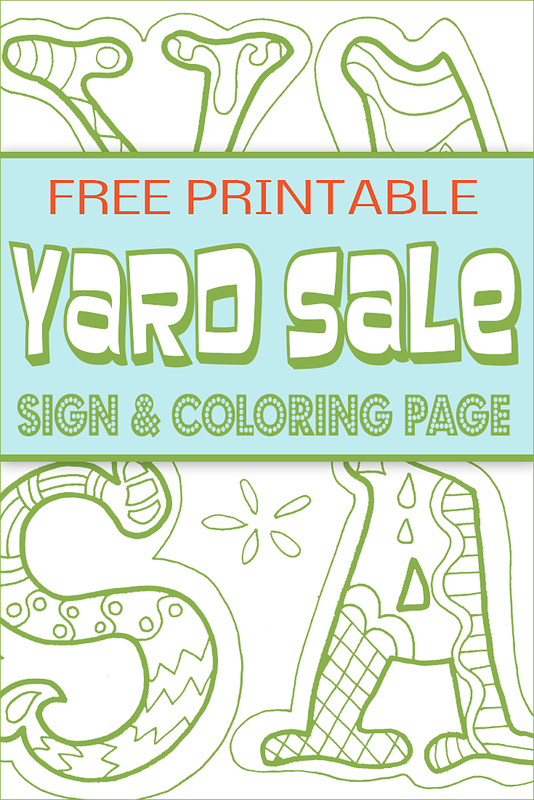 Changing the color of your free yard sale sign is as simple as changing the color of the paper you print it on. The outer background of the sign (everything but the letters) is actually transparent so whatever color paper you choose to print it on will show through as the main color of your sign. That's option number one. Option two is a lot more fun. In keeping with the spirit of a Zentangle coloring page, may I suggest that you color it by hand? Yes, it's more work, but in my opinion, well worth it! TIP: Stefania recommends using pastel color pencils instead of markers to color the sign because printer ink can dirty the color of the marker. Hey... One more thing before you go. P.S. SEND ME YOUR SIGNS!!! 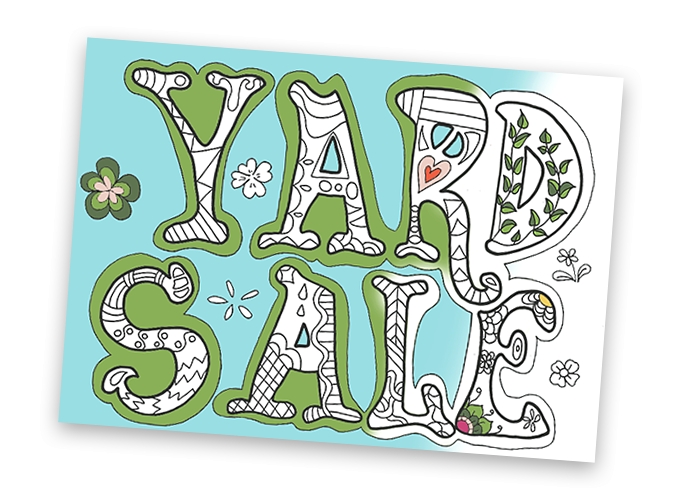 Email a copy of your hand-colored yard sale sign and I will share it for everyone to enjoy!